It’s finally here – Warner Bros. have debuted the first official trailer of Harry Potter And The Deathly Hallows Part II, the final installment of the wizard franchise. All HP fans have been dying to see the teaser, and must say it’s worth every second of waiting – the trailer looks blockbusting terrific and freaking awesome, I just can’t wait to see the movie in 3D this July. The first trailer focuses on the all-out war between Harry (Daniel Radcliffe) and Lord Voldemort (Ralph Fiennes) and also features Hermoine (Emma Watson), Ron (Rupert Grint), Ginny (Bonnie Wright) and Severus Snape (Alan Rickman). 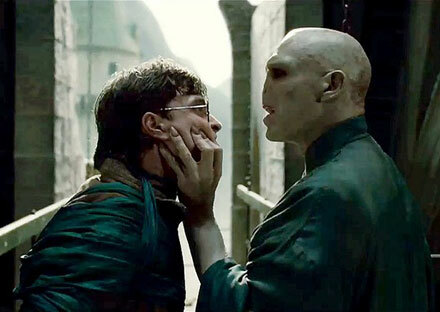 David Yates-directed Harry Potter And The Deathly Hallows Part II will be released on July 15. What do you think about the first official trailer? I hope this final part of Harry Potter and death Hallows will make a great success and hit new records this Harry Potter series will continue for some more episodes and also this Harry Potter series will come in video games then the people will never forget this story for a long time.